It happened a week ago, and I am somewhat ashamed of myself that I did not catch this at the time. 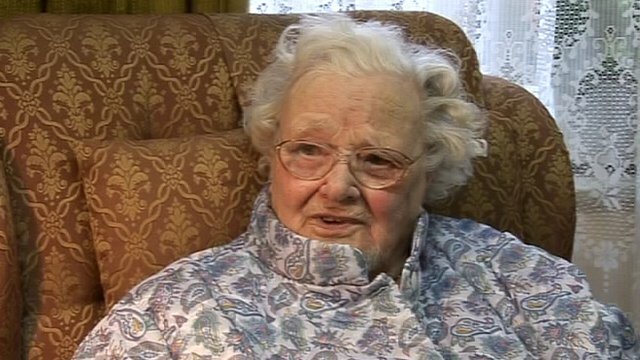 Florence Green died on February 4th, at the age of 110. She would have been 111 later this month. And she was the very last living person who served during World War I. Born on February 19th 1901, Florence was 17 when she enlisted in the Women's Royal Air Force in September of 1918: just two months shy of the armistice that ended "the war to end all wars". The last living combat veteran, Claude Choules, passed away in May of last year. And it was a year ago this month that Frank Buckles, the last surviving American "doughboy", departed us. Read more about Florence Green's long and remarkable life here.